For all TEAMs, and Coaches/Managers, during the season, after registration and teams are formed, this is the easiest way to double check your Team's calendar, and recent bulletins without having to navigate the full website. 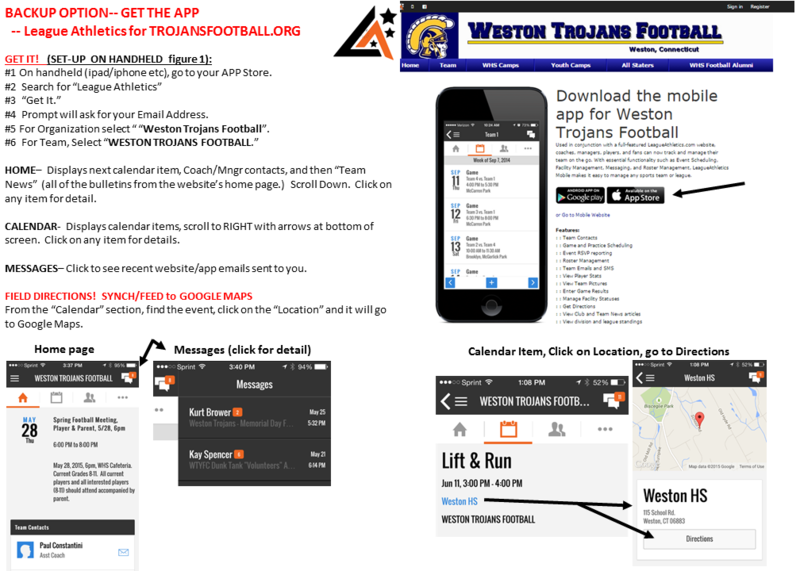 Best on-the-go way for Coaches to email and text their Team's too. Just like having a "TEAM" website or APP. The Mobile site has an "app" approach, but will let you go to the full website. 2. Links to all locations on the website, e.g., registrations, other key pages. 3. Synchs the Team’s calendar to your Handheld Calendar (e.g., Google) Don’t have to rekey information. Automatic updates. Info all in one place for you. •Event “location” links to google maps right from your calendar. 5. All graphics/pictures work and display. 6. 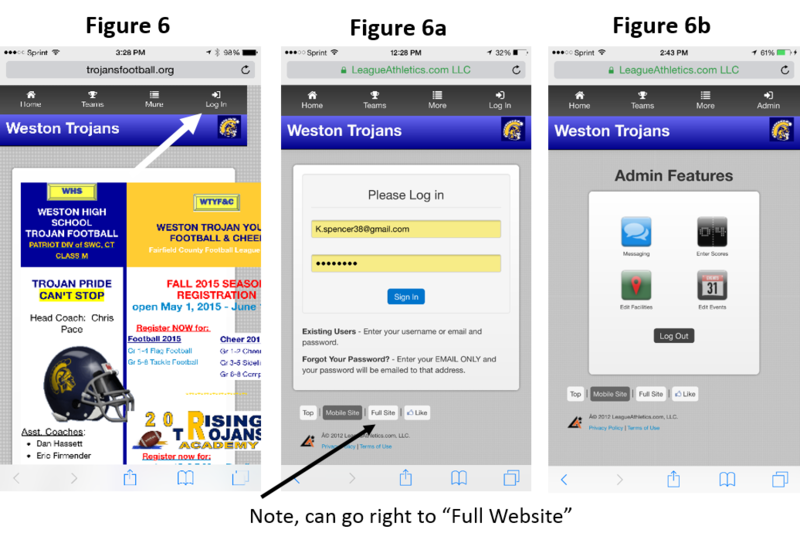 Administrators (Coaches, officers) can email and text right from the handheld to entire group, or individuals. They can also add or edit any existing calendar items and notify members of changes. 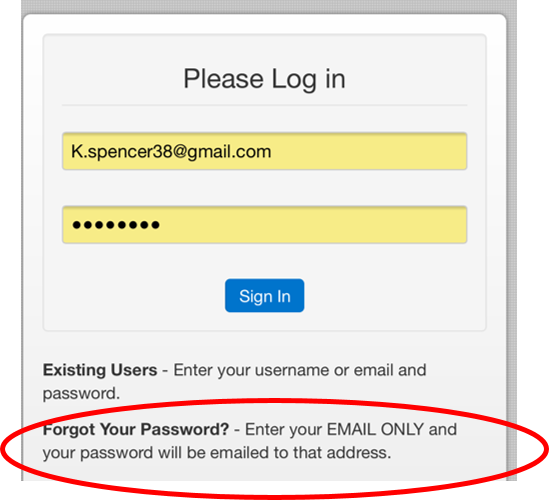 Your password is the SAME password you use when logging into the full website. Usually set-up by Mom/Dad beginning with youth football registration. If you’ve forgotten your password, or need a new one, enter your personal email address that should be in your profile and League Athletics will assist. Note: All instructions below are for WHS Trojans. The Youth Program should select the appropriate "WTYFC - Youth" Team etc. #1 On handheld (iPad/iPhone etc. ), go to www.Trojansfootball.org. 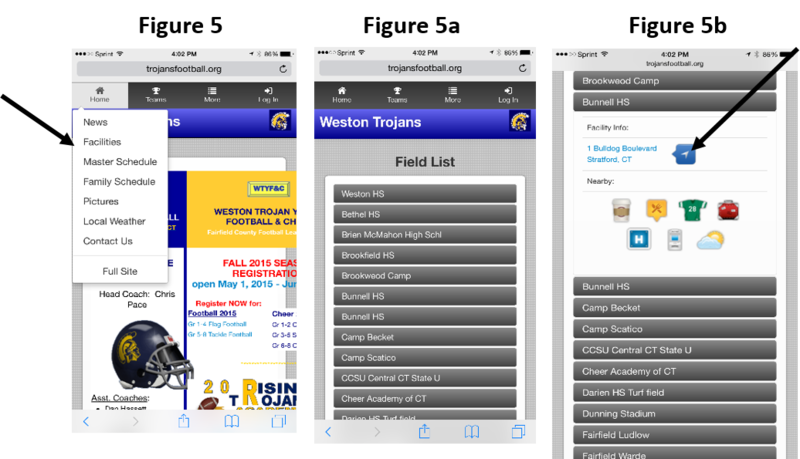 #3 Select “WESTON TROJANS FOOTBALL” (figure 2a) Next screen is the “WHS Trojan Football” team’s website home page. Scroll down to read team news. (figure 2b). 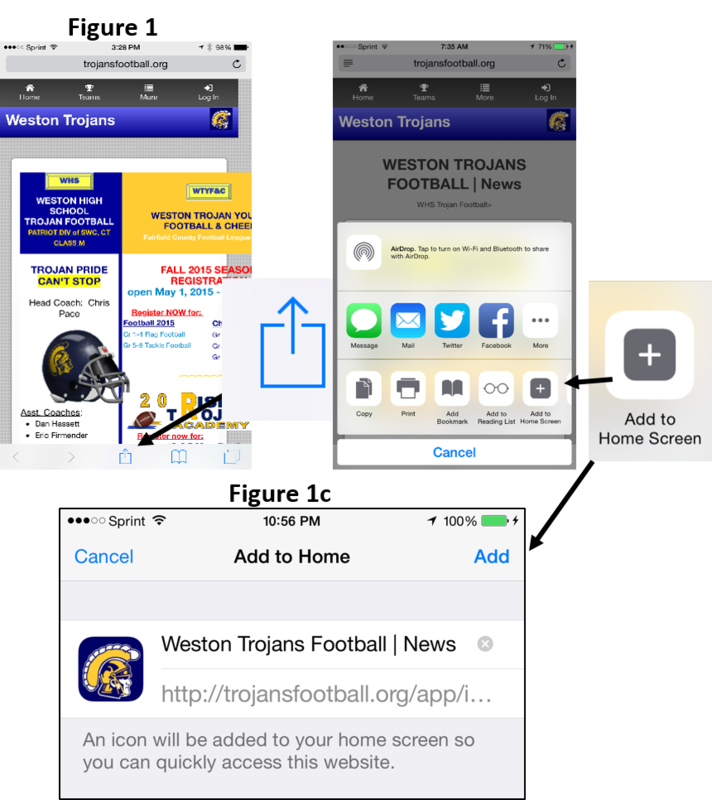 (To the Right of "Teams" on the top toolbar, is "More" Click on "More" and you can select either the "High School (WHS)" or the "YOUTH (WTYFC)" organization home pages. Also provided are the left toolbars from the website. SYNCH TEAM CALENDAR TO HANDHELD CALENDAR! BENEFIT: Your one Handheld Calendar for all information. BENEFIT: Automatic mapping when click on “Location” in the calendar entry. Forgotten Your Password? Enter your EMAIL ONLY and your password will be emailed to that address.